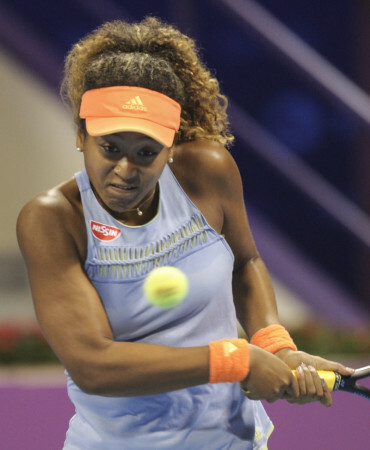 Miami (US), March 22: Japan's Naomi Osaka, fresh from winning the biggest title of her career this month at the BNP Paribas Open in Indian Wells, California, defeated an out-of-sorts Serena Williams 6-3, 6-2 to advance to the second round of the Miami Open. The 20-year-old Osaka, who was born to a Haitian father and a Japanese mother and grew up in the United States, broke the 23-time Grand Slam champion in the seventh game and then finished off the first set with yet another break of serve here on Wednesday, reports Efe news agency. Osaka, who broke Williams' serve on two more occasions in the second set, was clearly the sharper of the two players considering that Serena was playing just her fourth WTA match in the past 12 months. But the 22nd-ranked Osaka also showed she could match her opponent in the power department and most notably on the serve, ending the match with more aces (seven to three) and winning a higher percentage of first-serve points (78 percent to 76 percent). She faced just two break points in the match and saved both of them. Williams' rust was apparent whenever she had to put in the second serve and enter a baseline rally, as was reflected in her 31 percent winning percentage on second-serve points. The American went from bad to worse during the one-hour, 17-minute contest and appeared to be shocked at the routine shots she missed to lose her serve in the final game, including a wild forehand well over the baseline on match point. Next up in the second round of this hard-court event for Osaka, who is unseeded at the Miami Open because she was ranked outside of the top 40 until her strong result in Indian Wells, will be fourth seed Elina Svitolina of Ukraine.